The Summer Exhibition:The Illustration Cupboard presents its summer exhibition featuring a selection of highlights from the 2010 catalogue. On show at the gallery will be artwork by world-famous illustrators such as the current Laureate Anthony Browne, Shirley Hughes, David McKee, Lauren Child, Emma Chichester Clark, Maurice Sendak and many others. Introducing a celestial theme, the spotlight will be thrown onto Jane Ray with a special display of her new Zodiac paintings, recently created and never exhibited before. These unique pieces are available for purchase alongside a corresponding short-run set of editions, each hand finished and signed by Jane Ray. 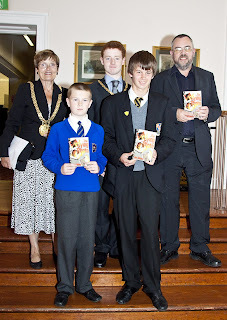 PHOTOGRAPH SMALL GROUP James Pybis (winner of the BOOK FACTOR Book Blurb Competition) and Luke Gates (winner of the BOOK FACTOR cover design competition)With Liverpool’s Lord Mayor, Councillor Hazel Williams, Jonathan Rigby, Liverpool’s Young Lord Mayor and author Alan Gibbons. Liverpool’s Lord Mayor, Councillor Hazel Williams, and the Young Lord Mayor, Jonathan Rigby, congratulated pupils from schools across the Alt Valley area, Liverpool for taking part in THE BOOK FACTOR, an innovative project that got more than 500 Liverpool children involved in creating a story that they wanted to read. The Lord Mayor asked the young people individually if they had enjoyed the competition and was delighted when they all replied “yes” . She told the audience that, while learning to read is important, the key to success is to enjoy reading for pleasure. “Enjoy it and you are half way there,” she said. She added that she was extremely proud of the pupils’ achievements and that in years to come they would still feel a sense of pride in their writing. One of her own greatest personal achievements, she said, had been when her poem, "Ghouls of Hillsborough", was selected for a poetry anthology to help remember those who had died in the Hillsborough tragedy and to recognise what the people of Liverpool did to help. James Pybis was the winner of the Book Blurb competition and he also thought of the title, THE DYING PHOTO. Alan Gibbons turned James’ idea into a story and Barrington Stoke published THE DYING PHOTO on 14 July. Luke Gates won the jacket design competition, coming up with the perfect design for artist Dylan Gibson to use as the cover. The Children’s Book Show 2010 – Stories from Around the World an annual tour of children’s authors and illustrators from the UK and abroad. The theme for this, our 8th Bookshow, is Stories From Around the World, and we have an exciting line-up of award-winning artists to inspire school children with their enthusiasm and passion for stories. This year is our biggest year yet. Through September, October and November, we have 12 authors and illustrators performing in 14 different theatres around the country. Many of our authors and illustrators are already household names, some of them may be new to you, but all are among the most exciting artists writing and illustrating for children today. FREE WORKSHOPSThis year we are delighted to be able to offer 70 FREE workshops to participating schools. This is an exciting opportunity for children to meet and work with an author or illustrator in their own classroom. And every child that takes part in a workshop will also receive their own personal copy of a book by the relevant author or illustrator, free to take home with them. 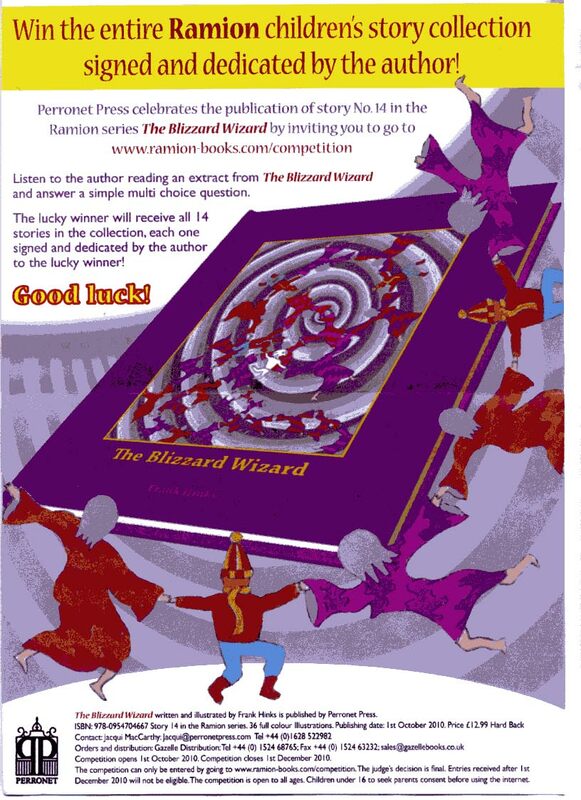 Roger McGough is to chair the judging panel for a worldwide poetry competition for 7-11 year olds. The Competition is organised by the Children’s Poetry Bookshelf, a poetry book club for young people run by the Poetry Book Society. To link with National Poetry Day on Thursday 7 October, children will be asked to write a poem in English on the theme of ‘Home’. Now in its fifth year, the competition is open to both individuals and schools. Cash prizes of £250 for first prize, £100 for second and £50 for third will be awarded, along with books and CPB memberships, in two age groups, 7-8 year-olds and 9-11 year-olds. Entries will be accepted from Friday 10 September, up until the closing date of Friday 15 October. The winners will be announced at a gala celebration in London in December. The British Council partnership, now in its third year, will continue to encourage entries to the ‘International Learner category’ for children based outside the UK who are learning English as a foreign or second language. The Old Possum’s Children’s Poetry Competition will encourage children to write poems of their own and help teachers to bring poetry alive in the classroom. A teacher’s guide to accompany the competition will be available to download from the Children’s Poetry Bookshelf website (http://www.childrenspoetrybookshelf.co.uk/) from early September, along with further information about the competition. 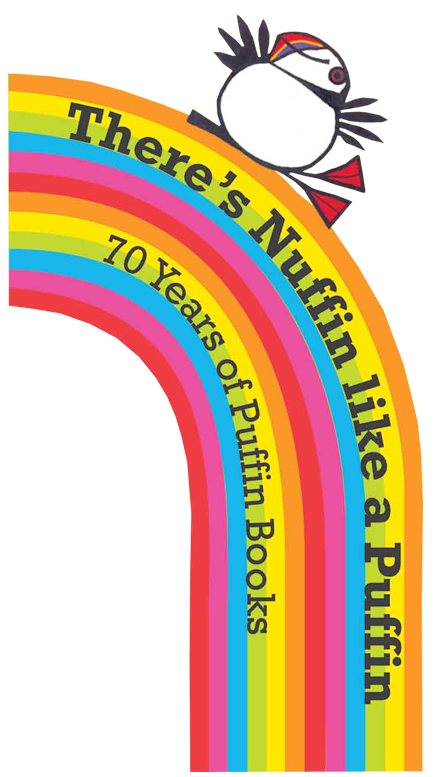 Come to Seven Stories in Newcastle upon Tyne this summer and tell us, and everyone else, about your favourite Puffin book. Find out what inspires your favourite authors from Jeremy Strong andMichael Rosen to Anne Fine and Rick Riordan. Fill in your Puffin Passport and decide what you're going to read next. Email us pictures of your favourite places to read(info@sevenstories.org.uk) or join our Facebook group by searching Seven Stories, the Centre for Children’s Books and upload your pictures there to see them displayed in the exhibition.There’s Nuffin Like a Puffin will be an exhibition for all the family, with a mix of special Seven Stories interactive activities. These include dressing up as Stig of the Dump and drawing cave paintings in his dump, creating your own Michael Rosen inspired poetryusing rhyming stepping stones, and making your own spells with Meg and Mog in a magical cauldron. Why not create report cards of the demi gods with Percy Jackson,and watch Eoin Colfer’s Fairies, Farts and Flatulence American tour exclusive to SevenStories! You can even make up a tune on Mr Big's piano whilst watching how Ed Vere puts his picture books together. Whatever your age there’s something for everyone inthis new Seven Stories exhibition. with and get excited about portraiture this summer. These free activities are part of the BP Portrait Award 2010 exhibition which runs from 24th June - 19th September with a special Moving Family Portraits event on Saturday 17th July. Hopgood has been commissioned to create a set of original children’s characters that will appear at the entrance to the exhibition and on labels around the show highlighting paintings that are of particular interest to children. The twin characters are central to the Gallery’s free Family Trail which features a series of specially designed games and tours of the exhibition. The Gallery has also asked Hopgood and two supporting animators to run the Gallery’s Moving Family Portraits event on Saturday 17th July, where children visiting the exhibition will be invited to experiment with drawing, painting or collage to create their own self portrait. The images will then be animated so that each portrait blends seamlessly with the next to create a film of continually changing faces of everyone who takes part on the day. The animation will be shown on the Gallery’s big screen at the end of the day. HERE COMES FRANKIE, WOW! SAID THE OWL and most recently TIP TAP WENT THE CRAB. Jan Cullen, Family Programmes Manager at the National Portrait Gallery said: “We chose Tim Hopgood as we felt his style of illustration was fresh and appealing and would be a huge success with our target audience. We were impressed with his ideas on how families might engage with portraiture. He has been fantastic to work with and the results are amazing” Hopgood's unique illustrative style has bought a fresh approach to children’s picture books. He has won numerous awards and accolades for his work including the coveted Booktrust Emerging Illustrator Award in 2008. Hopgood’s characters are being developed for a collection of merchandise, including badges and bags, for the Gallery. These, along with a collection of Hopgood’s children’s books, will be on sale during the exhibition. Neil Gaiman yesterday became the first author to win the Carnegie/Newbery Medal double - the awards are the most prestigious for children's books in the UK and US respectively, and both are judged by librarians - when he took the Carnegie for The Graveyard Book (Bloomsbury). Freya Blackwood won the Kate Greenaway Medal for Illustration, for Harry and Hopper (written by Margaret Wise, and published by Scholastic). You can read an interview with Freya Blackwood in the autumn edition of Carousel. Many of you will have a favourite local bookshop, whether independent or part of a chain. But the whole trade is facing extraordinary challenges. Customers have got used to quite ridiculous price cuts where the latest best-selling title is sold for half the price printed on the jacket and whilst, in the short term, this leads to good sales for the few the effect on the whole trade is the very opposite...The Booksellers Association state that two independent bookshops closed per week during 2009. We would love to know about your own neighbourhood bookshop. Record shops have almost completely vanished and it would be appalling if bookshops followed suit. There are some excellent shops out there, so let's pass the word round. Please click on the comment button and let us know your favourite shop, and why. Thanks. In March the Government published their long-awaited "Modernisation Review" of public libraries. The Society of Chief Librarians also published their manifesto entitled "The Numbers". It appears that overall borrowings are down and there are increased mutterings about libraries being community centres, decreasing their book stock and increasing other non-book items. Tim Coates, formerly of Waterstones and now a vocal library campaigner says "All the thinking and all the immense power in the public library service is in the hands of people who are more interested in the mechanisms and agendas of national and local government than they are in books and reading". Libraries are changing, and need to change but it does seem that some of the changes are ill thought through. In our local Suffolk library, for instance, there is no need to ever talk to a librarian. Books can be ordered online (which I welcome), then you take them off the reserved shelf, check it out and indeed check it back in. What is your experience? Do let us know. Eoin Colfer's Artemis Fowl has been voted Puffin of Puffins in a nationwide poll, in which more than 10,000 votes were cast. It won 68% of the online vote, while Roald Dahl's Charlie and the Chocolate Factory came in second with just 13%. 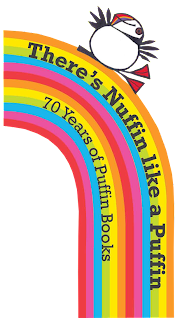 The poll marked Puffin's 70th birthday and the relaunch of Puffin Modern Classics. Former poet laureate and chair of the MLA Sir Andrew Motion has described any move to cut library spending as "foolhardy". Concerns have grown over the future of library funding in the run up to the budget announcement on 22nd June, which is likely to include swingeing cuts across sectors in a bid to reduce some of the country's deficit. While Motion acknowledged there was no "harm in society periodically asking itself which services should be publicly funded, and how they should be run", and that the sector was already planning to deliver "quality library services with less money", he stressed its overriding value. There was a report on the Today Programme on 8 June about KPMG Consultancy's blueprint of how the public sector could be reformed. A spokesman for KPMG said that whilst libraries are hugely important in the national psyche - we all think libraries are important - there is a problem with libraries, they are not very much used and they are very expensive to run...we are not suggesting in this report that libraries should be closed down what we are saying is that libraries and other community facilities might be better off if they were run by the communities that value them rather than by the state. Tim Coates on Newsnight (9 June) supporting libraries seemed to hint that there was too much management in the service...at least I think that was what he said. I guess the KPMG report was meant to be controversial. Tim Coates did address their not much used line with this statistic "260 million books sold in bookshop and on line whereas 320 million are borrowed from public libraries". The main groups who used libraries were, surprise, surprise small children, young people with families and school children. Award-winning illustrator and author Joel Stewart has been approached by Ragdoll Productions (In the Night Garden, Teletubbies) to develop a project for CBeebies. Ragdoll Productions contacted Joel after apparently being enchanted by the 'filmic' feel of his work, which includes Dexter Bexley and the Big Blue Beastie and Have You Ever Seen a Sneep. Still at a developmental stage, Abney & Teal, which centres on two friends, is a pre-school series aimed at children aged three and four. The 52 x 11 mins animations combine CGI with real illustrations and puppets to recreate the handmade feel of traditional animation. Stewart's latest book, Dexter Bexley and the Big Blue Beastie on the Road, will be published by Random House Children's Books in June. Manchester will host the Children’s Book Festival for the first time this summer from 1st-4th July, in partnership with local schools and libraries. Michael Rosen will be joined by other authors and illustrators who will be introduced by Poet Laureate Carol Ann Duffy. Angus Book Award 2010 the winner is Rachel Ward, for her novel Numbers published by Chicken House. Pupils, librarians, teachers and the four shortlisted authors gathered in Kirriemuir town hall on 18 May to present Rachel with her trophy, a replica of the Aberlemno Serpent Stone, and £500. The gripping and imaginative futuristic thriller The Hunger Games by Suzanne Collins has won the Red House Children's Book Award 2010. Voted for solely by young readers from a shortlist drawn up by children'sbook groups across Britain, the award is celebrating its 30th birthday thisyear and is recognised by authors, parents and librarians as a key indicatorof which books are popular with children. The Hunger Games (Scholastic) won both the older readers' category and overall prizes in the award, which is owned and coordinated by the Federation of Children's Book Groups. "I'm thrilled that The Hunger Games has won the Red House Children's BookAward.The fact that The Hunger Games was chosen as a favourite among more than a thousand titles by young readers means a great deal to me, and it's an honour to accept this award, especially upon its 30th anniversary.Thank you, and may the odds be ever in your favour." Two other category winners in the 30th annual award were also announced:Jeanne Willis and Adam Stower's laugh-out-loud funny picture book BottomsUp! (Puffin Books) has won the category for younger children, while Tanya Landman's fast-paced mystery story Mondays are Murder (Walker Books) hasclinched the younger readers' category. An incredible 140,481 votes were cast by children and young adults all over the UK. Meet Our Authors is an exclusive series of authors’ events streamed live over the internet to provide young people, parents and teachers with the chance to get up close and personal with some of the world’s leading children’s writers. The programme is the first of its kind in the UK. Anyone can sign up to watch and it is completely free. On 26 May at 11am, Julia Donaldson will talk to a live audience while being filmed and broadcast simultaneously over the internet to tens of thousands of viewers across Scotland. An astounding 65,000 children in more than 800 schools have already signed up to the event, which is supported by digital media including Facebook and YouTube featuring event information and exclusive video clips. The series of live events forms the centrepiece of a two-year long programme that will feature household names including Michael Morpurgo, Philip Pullman, Eoin Colfer, Charlie Higson and Jacqueline Wilson. 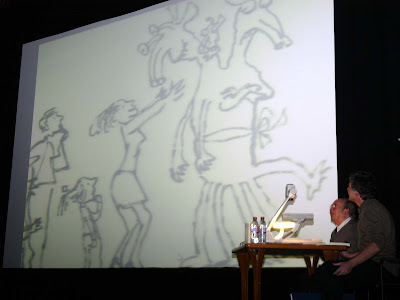 The first live broadcast took place on World Book Day in March with former Children’s Laureate Michael Rosen, to which over 100,000 children logged on.